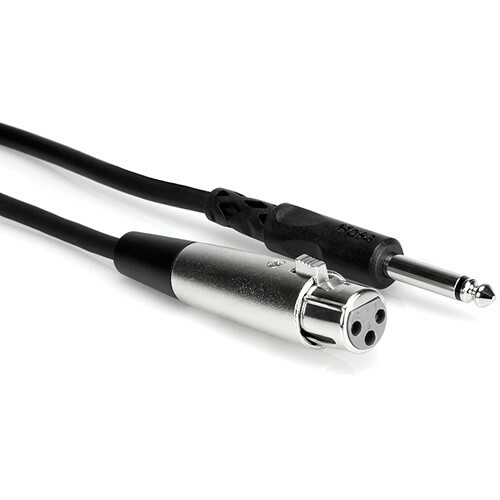 This Hosa Unbalanced 1/4" Male to XLR Female Audio Cable is an unbalanced cable that features heavy-duty cabling, with a molded 1/4" plug. This cable's XLR plug is wired for today's most commonly used configuration, with "pin 2" hot (to tip). Box Dimensions (LxWxH) 9.8 x 4.3 x 2.4"